DEFLECT is a very simple game. 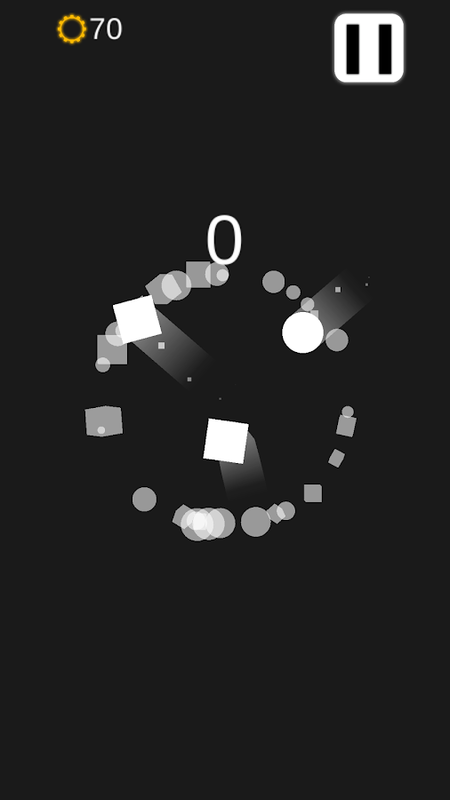 Set in the middle of a mostly black screen, your mission in this game is to rotate a shield around a glowing white ball in order to protect it from abstract shapes that fly in toward you. A lot like the popular game Defend the Planet (by Argo Studio) from a few years ago. Although the gameplay is incredibly simple and shouldn’t take you longer than 2 minutes to fully get your head around, for some strange reason, trying not to accidentally deflect the gears you actually want to be collecting seems almost impossible! 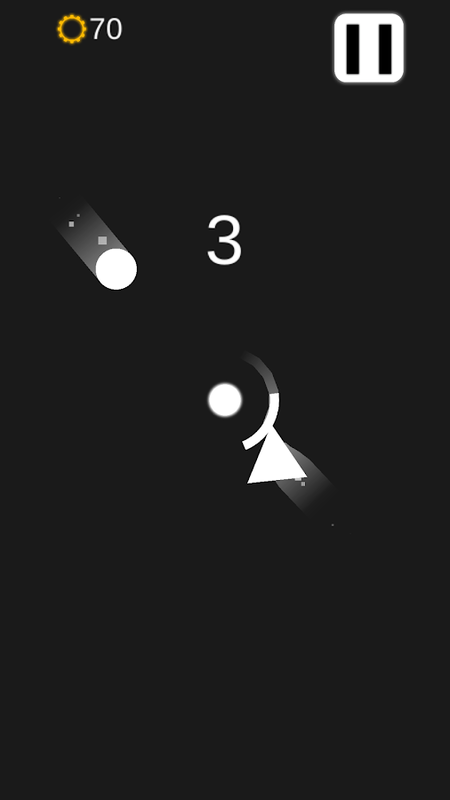 Perhaps it is the fast speed at which things fly around the screen(? 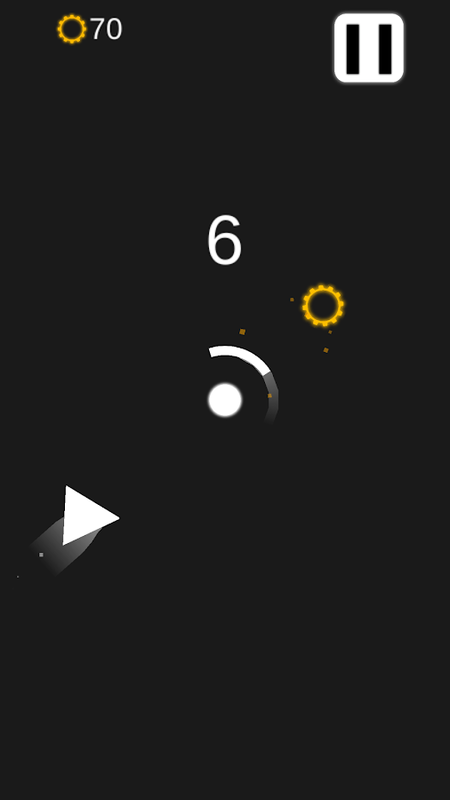 ), whatever it is, collecting enough gears to unlock any new skins seems almost impossible! 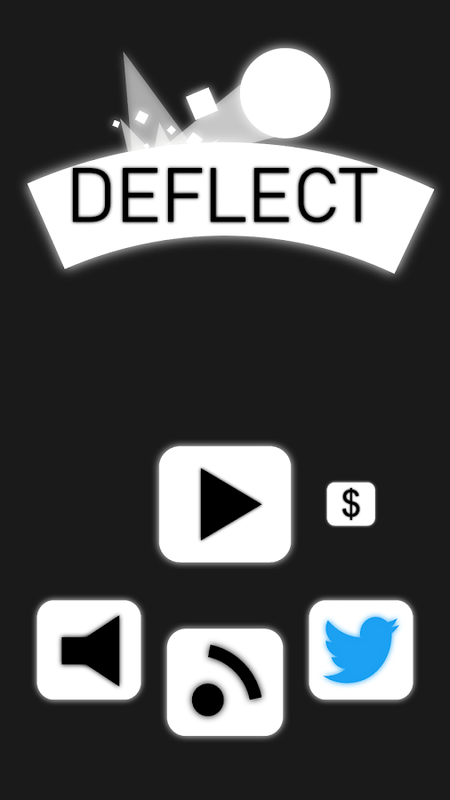 With a bunch of different skins for you to unlock, not too many Ads and not much else – good or bad – to interrupt your gameplay, DEFLECT is a simple new game for your Android device. 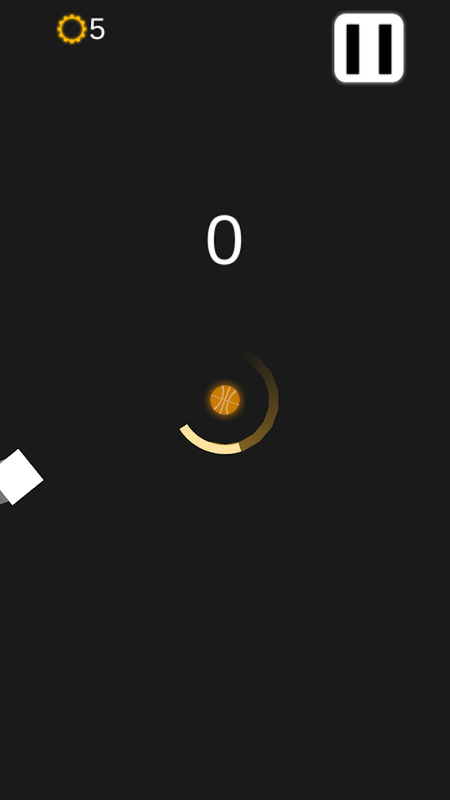 If you’re looking for a simple game you can play with minimal distractions, DEFLECT is yet another fun little game from KASUMUSHI you’ll probably want to check out.